However, after reading the marketing blah-blah on their latest BlueHorn System and looking at the horn in question, I wonder what kind of voodoo takes place in that black hole between the driver exit and the horn entrance. It's should give rise to performance levels way beyond anything this cheap ebay horn could ever deliver. I would be happy to try and compare those Blue horns to my good sounding cheap eBay horns, but the top left corner of the Blue one looks really expensive. I bet it is expensive, and of high quality. Obviously, MeyerSound horns are at least a little better than a white label horn. Presumably BEM/FEM optimized for the dedicated driver and comparable to the waveguide in JBL's 4367. Upon examination some features stand out. Its depth relative to expansion (curvature). From a wide angle the throat is still visible. This should ensure even off-axis radiation of high frequencies. The vertical walls are asymmetrical > the "ceiling" is more curved towards the mouth. 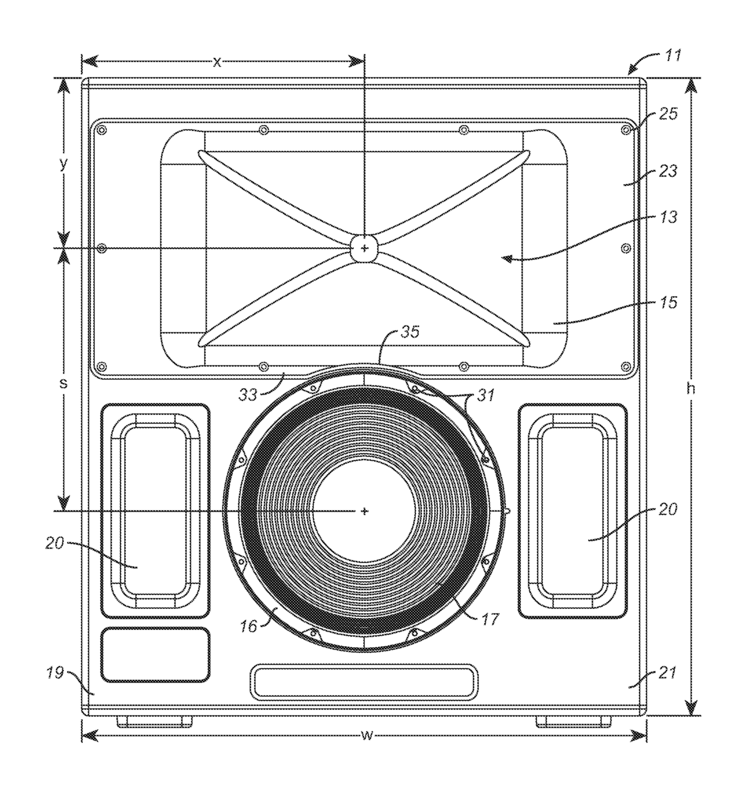 The bottom section is relatively flat, probably to facilitate better integration with the woofer. For the same reason C-C spacing is minimized. 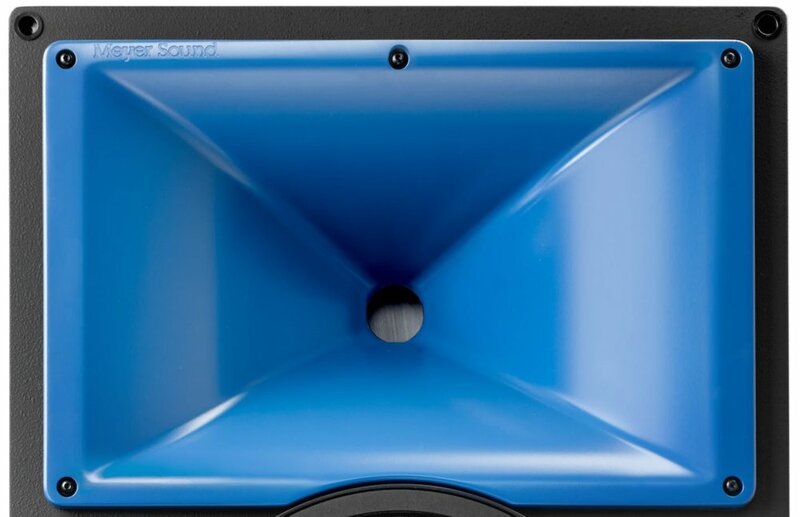 It's noteworthy both horn and woofer of the monitor are surface-mounted, whereas the subwoofer sits flush with the baffle. @Khornukopia What's that beautiful veneer? Lucas and Meyers' relationship goes way back indeed and it's logical to support each other('s business). Nothing wrong with that. Key factor in Meyersound R&D is its integrated design approach. Subsequently, it's not sensible and often nearly impossible to use their products outside of their ecosystem. With the older products, especially the 650-P Subs you mentioned, it was less problematic to use these seperately. From a premium brand with corresponding pricing you'd expect top-notch performance and Meyersound delivers... most of the time. The main complaint I see is using their speakers to mix sometimes doesn't "translate" to the reality of what some older systems can handle. A lot of debate about that. His Galieo system is what they have in The Stag, and that is a marketing model that for sure keeps you loyal, LOL. 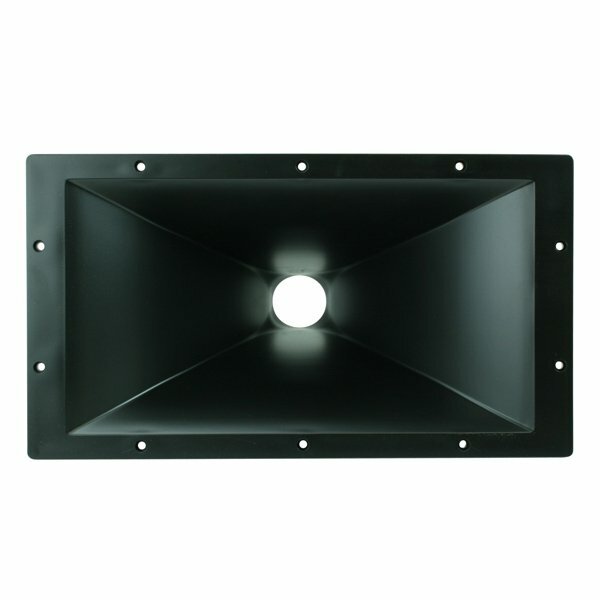 I am familiar with (the sound) of older MeyerSound stuff, mainly their line arrays, and some of their cinema speakers. In the past I had some conversations with the local distributor. Meyersound line array products face fierce competition from brands such as: l'Acoustics, Adamson and not in the least d&b Audiotechnik. Based on (listening) experience, I would personally choose l'Acoustics and d&b over MeyerSound as far as line arrays are concerned, but that's not to say MeyerSound is bad. Not at all. MeyerSound PA has been referred to as clinical and sometimes harsh sounding, which should come as no surprise once you dive deeper into their technology and considering their background in studio monitoring/mastering. In PA, the cleanest, most linear, FIR compensated or otherwise pre-processed signal doesn't always translate to the best (most enjoyable) front-end experience, especially with less talented people behind the desk. 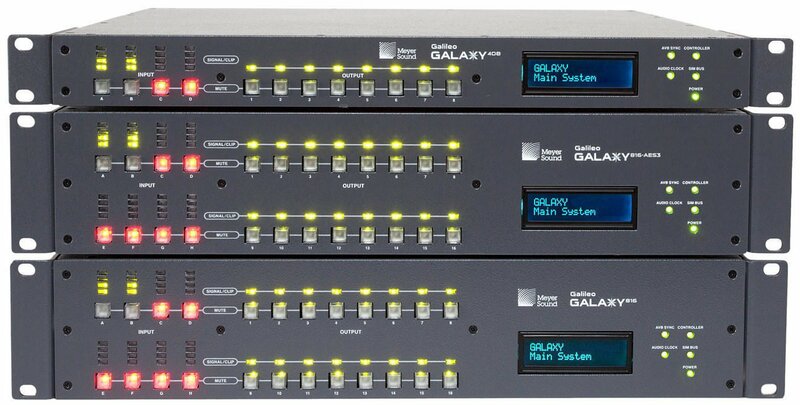 Cinema installs are less prone to cluttering, which should work to MeyerSound's advantage. Back on topic, more or less. 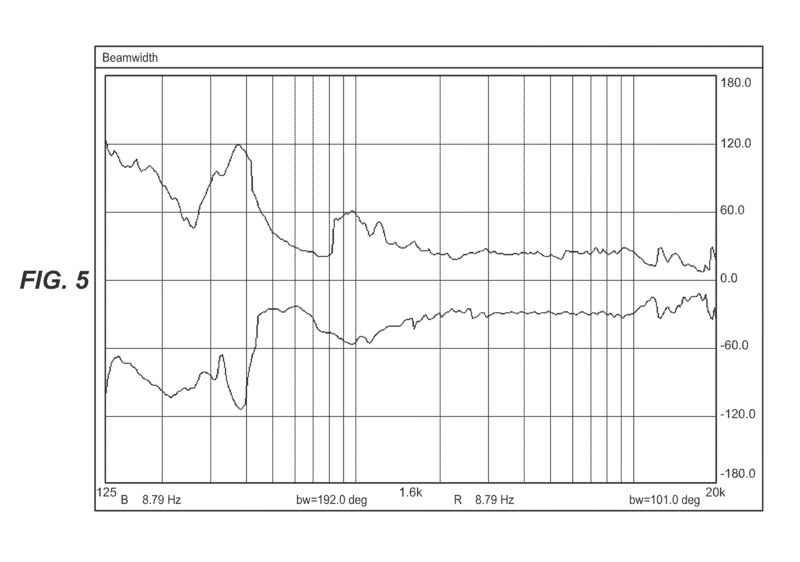 A comparison between a MeyerSound Archeron horn (> predecessor of the BlueHorn) and the ZXPC 10x18. Thanks to @Chris A for the data on the ZXPC horn. I have listened to many of their newest line arrays at concert performances. The bands sound really good. Their goal is full, even coverage for the entire large audience. 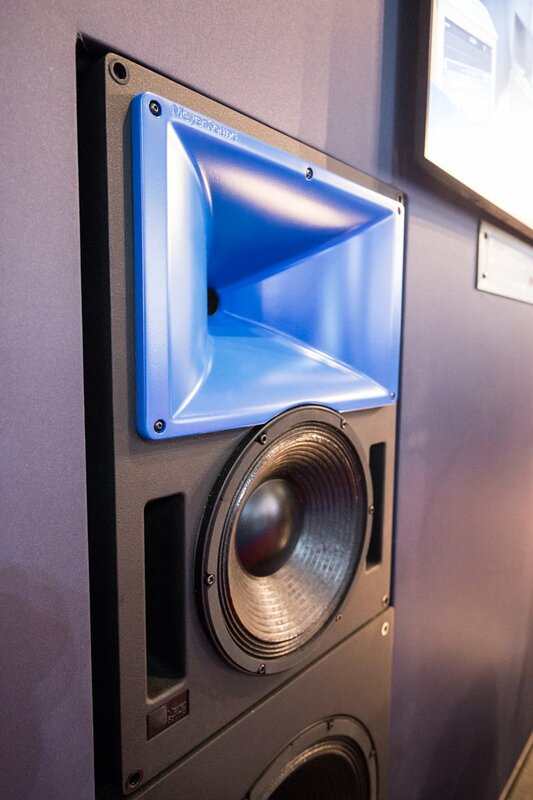 Much more technology than most audio enthusiasts would need at home. I decided the Blue horn does not match my decor, so I'm keeping the cheap horns and painted them copper, to go with my cherry stained Zebrawood. What driver do you use with the ZXPC horn? Is the horn used as center? Yes, this is part of my center channel, with a La Scala bass bin below and a spot for a tweeter above. I used a K-55 with a 1" to 2" adapter for a while. Then a Radian 651PB. After painting the horn with the copper color, I re-installed it with a Selenium D-405. They all do a good job in this application. @Chris A What driver was used on the ZXPC horn when you measured it? That Meyer drawing of its K-510-like horn looks like they've pushed the point of the mouth roll-out closer to the mouth than the K-510's tractrix roll-out, which starts about two-thirds of the way from the horn throat. "High frequencies don't go around corners." 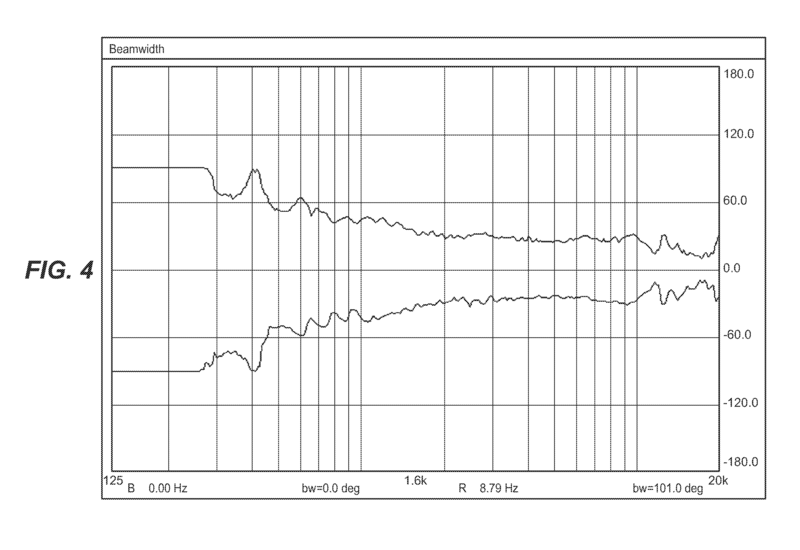 BTW: most all the polars above ~8-9 kHz are a function of the compression driver's phase plug, not the horn. 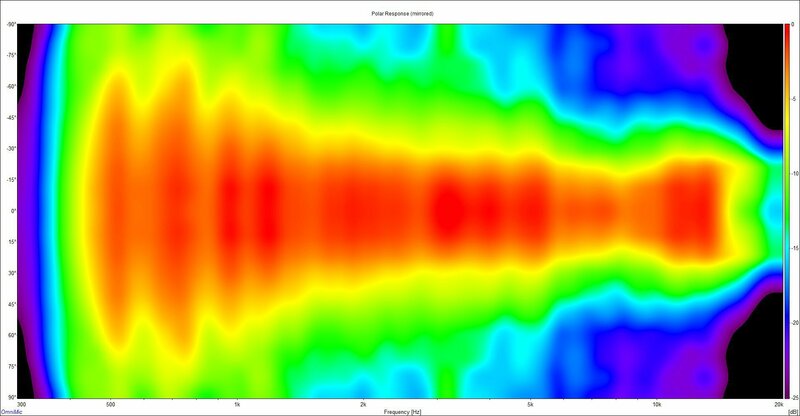 This is good to know if you're looking at the 10-20 kHz portion of the horn's polar plot. Only when the tweeter's throat length gets very much shorter than on a 2" driver does the horn on a tweeter become effective above 8-9 kHz. 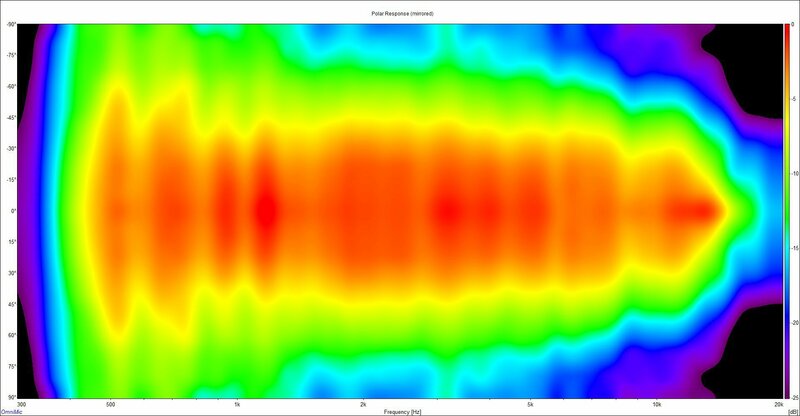 Bruce, I used a K-69-A (a.k.a., P.Audio BM-D750 series I) for the polar spectrograms of the ZXPC horn which I have laying around left over from my original Jubilee K-402 horn configuration from the factory. (I don't have any more good 2" drivers just lying around presently. That would certainly be a "nice to have" thing, for sure. ) As you might recall, it has quite a bit of non-pistonic response above 10 kHz--especially around 13-15 kHz. Chris, agreed with all your points. One little caveat with regards to my observations of the BlueHorn. With "high frequencies" I meant the upper midrange (2 to 4 kHz) and above. That's an interesting observation on the throat. I've looked closely at images of the K510 MK1 & 2 as well as the K402. Specifically the throat area, because it's this part of any horn that affects the aforementioned higher frequencies. 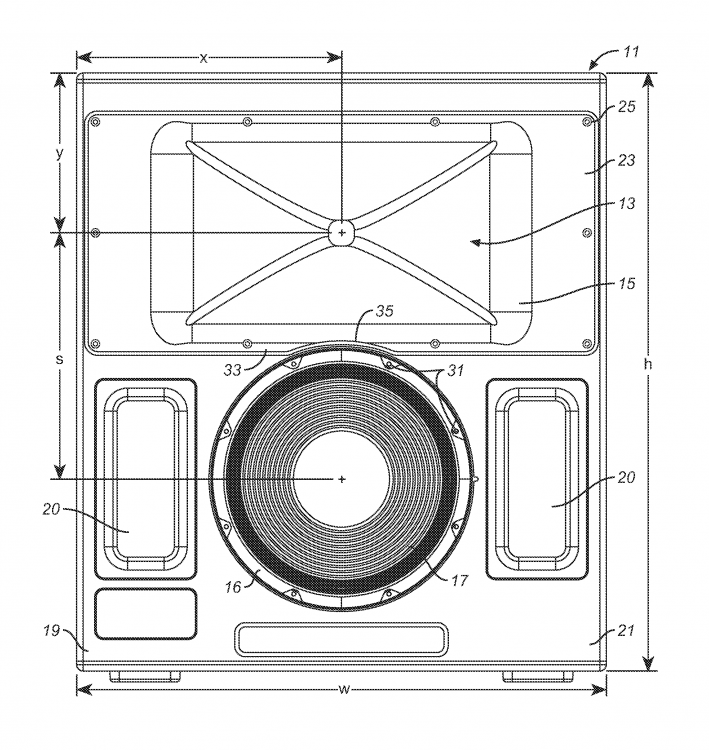 It appears there's (possibly) a very clever solution incorporated in the Klipsch throats. What can be seen in this image? This clearly isn't the typical round to rectangular (duct) transition as present in the ZXPC horns. The left and right side of the throat comprise a kind of slot, before the mumped section. Even more interesting are the corners of the throat entrance, which are identical in the K402 (but correct me if I am wrong). "Segmented triangles" are visible, which may (or may not) function as a kind of mini-waveguide inside the actual horn. You can easily modify your horn to have mumps if you want to--just get some modeling clay and build it up. They make clay forming tools that you can buy online for next to nothing; I've got a set of those. Works great. That's a little insight that Roy threw into the mix a few years ago. I think it's a great idea for ZXPC horns to get what you want--but to hold costs down. That ZXPC horn could use a little mumps modification around 600-1300 Hz to help the slight waistbanding of polars.. The K-402 doesn't have much in the way of polar waistbanding even though its horn profile doesn't include mumps, but the K-510 might be modifiable a bit more toward the low end to further control its waistbanding polars. I've been waiting for someone to start discussing the throat entries of the K-510 and K-402--because they're not oblate spheroid--but their performance is near perfect. This is especially true for the little K-510 horn, which outperforms what it should be able to do on the low end by quite a bit compared to other typical horns. There's a whole crowd over at diyAudio that religiously believe that OS throats is the best thing since sliced bread. I disagree, and the data and subjective listening trials on these two Klipsch-designed horns more than support that disagreement. I don't believe that many people are really looking at this area very closely. I think that looks pretty amazing for a $40 horn. It's hard to tell with the technical capabilities available today, what got copied and ever so slightly changed to toss out there on the market. For sure, the manufacturing of the horn is not the cost, but the design time and tools. Although a two way would be nice, I am not totally averse to a three way, since I have a pair of the BMD-750 drivers. That blue horn looks like a scaled down K-402 almost exactly!! I came to the same conclusion through different reasoning and sources, as I don't have first hand experience with K510 or K402. OS disciples are plentiful....that is: among the DIY crowd. To my knowledge OS waveguides were used in only a few professional products from the 1990's. It's rather old news by now. With the advent of advanced modeling and simulation techniques, only fundamental theories remain functional. 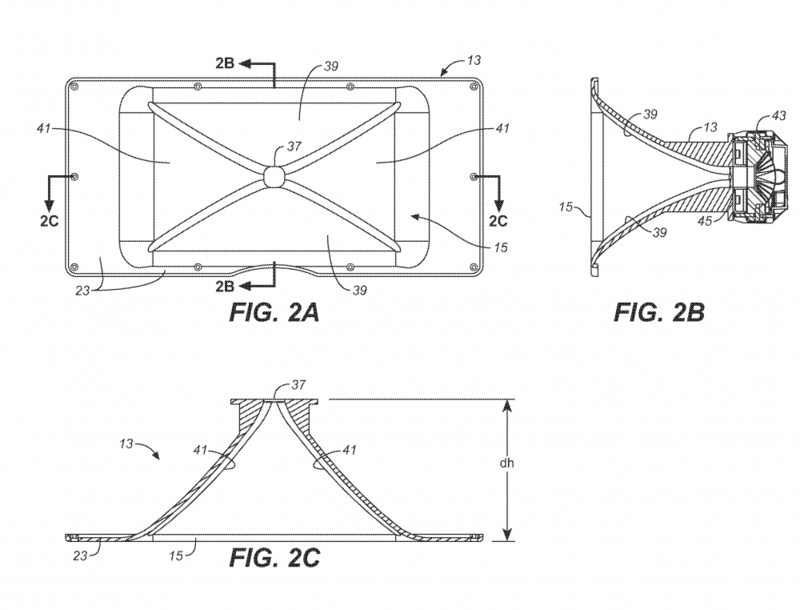 This is not to dismiss OS waveguides completely, but to put things in perspective. In this thread some topics were touched on, that may not be clear and obvious to everybody. This easy to understand AES paper deals with some important issues related to horns, waveguides and drivers. some important issues related to horns, waveguides and drivers. It is easier to read paper number 1 after browsing the graphs of Part 2. 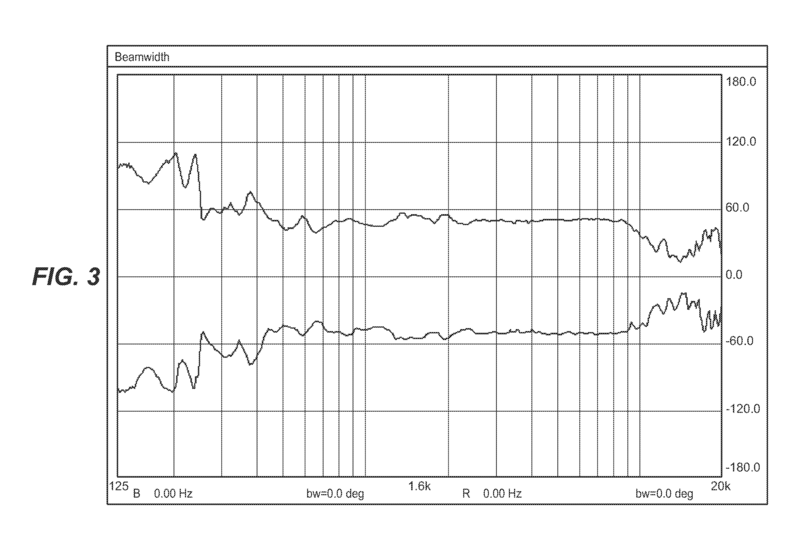 As you might recall, it has quite a bit of non-pistonic response above 10 kHz--especially around 13-15 kHz. How polite fo you to use that term!